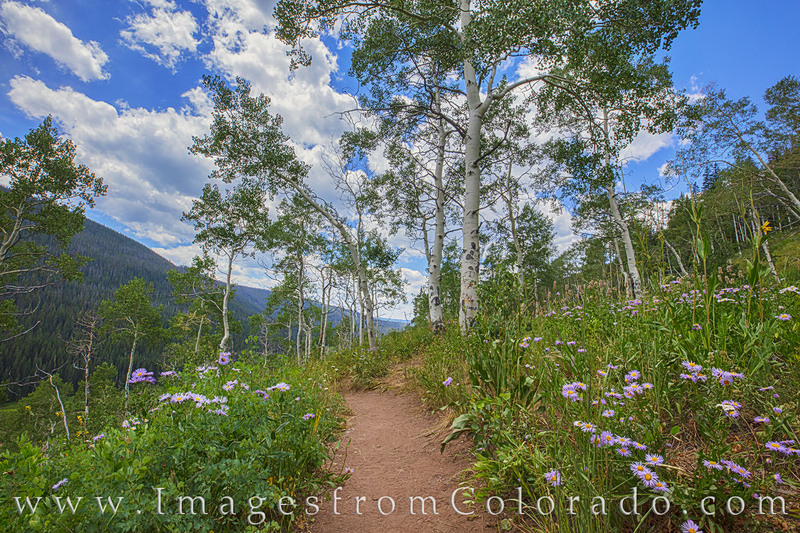 The Upper Piney Lake Trail starts out by Upper Piney Lake, but soon leads you trhough beautiful Aspen. In the summer, the trail can be lined with wildflowrs such as these purple asters. The path leads on to a small cascade and eventually peters out in a beautiful cirque after some strenuous hiking and scrambling. Photo © copyright by Rob Greebon.